Thanks for joining our coverage today. Until next time, goodbye! A point can be considered a positive for Chelsea as they were just a couple of minutes away from losing the match, but it means that their top-four hopes are no longer in their own hands. Sarri's side travel to Ukraine for the return leg of their Europa League last-16 encounter on Thursday, a tie which they lead 3-0 after 90 minutes, before then taking on Everton at Goodison Park next weekend on their return to league action. Wolves, meanwhile, have a huge FA Cup quarter-final against Manchester United in six days' time to prepare for. Wolves win a free-kick and have a decision to make - send it into the box or take it to the corner? It is a bit of both in the end as Traore cuts inside and swings his boot at the ball, getting his connection all wrong. It will be a goal-kick for Chelsea with just seconds remaining. Willian may well have been eyeing a goal himself - he certainly knows how to hit the ball from range - but he took the right option by teeing up Hazard alongside him. GOOOOAAALLL!!! CHELSEA 1-1 WOLVES! Hazard once again comes to Chelsea's rescue with a superb individual goal right at the end of the match. The home side take the corner short and Willian works the ball to Hazard, who shifts it away from a couple of players and bends it out of Patricio's reach from 20 yards. Brilliant finish! WIDE! Loftus-Cheek, doing as much as anyone to draw his side level, works some space in the box but he rather drags the angled shot wide. It takes a deflection so Chelsea will have a corner. Traore, who is pretty unique with his style of play, comes on for the game's likely match-winner Jimenez. Wolves now have a different type of out-ball. GREAT SAVE! Willian is a lot more direct than most of his team-mates, and the Brazilian so nearly rescues a late point for his side with this curler from the edge of the box. After collecting Emerson's pass, Willian works the shooting angle and it takes a good save from Patricio at full stretch to keep him out. It is the Wolves fans who are making all the noise inside Stamford Bridge as we enter the closing stages of the match. Emerson picks out Higuain in the middle but the striker's first-time shot is mishit. Boly is clattered into by Hudson-Odoi, making the most of the contact to win his side a free-kick in his own half. This will be a major setback for Chelsea if the visitors can see through the next five minutes, plus stoppage time. Gibbs-White puts his fresh legs to good use by covering a lot of distance when in possession. The ball is played out to the right to Jimenez, but the substitute's first touch lets him down when he collects the return pass. Chelsea's supporters are growing incredibly frustrated. Nuno makes his first change of the day by bringing on talented teenage midfielder Gibbs-White for Jota. Chelsea have no rhythm to their play, not helped by these constant stoppages. A nasty one for David Luiz as he is caught on the side of the head by the elbow of Jota. The Wolves man did not exactly mean it - not on the face of it, at least - so a yellow card looks to be the right decision. This is what you call a cynical challenge from Rudiger to block the run of Jota right on the halfway line. Willian, a few days on from scoring a great free-kick against Dynamo Kiev, takes over set-piece duties but sends the ball into the Wolves wall. The Brazilian takes the corner but Jimenez, for the umpteenth time today, gets to it first. Loftus-Cheek uses his strength to hold off one man but Boly takes him out before he can think about shooting from the edge of the box. A silly challenge that did not need to be made leads to the game's third yellow card, each of them shown to Wolves players. Chelsea have a little over 15 minutes to find a way through. Sarri has changed his system slightly with the introduction of Hudson-Odoi, Willian and Loftus-Cheek, going with what appears to be a 4-2-3-1 with Loftus-Cheek alongside Kante. Jorginho makes way for Willian in Chelsea's third and final change. Not for the first time this season, Jorginho's exit is greeted by sarcastic cheers. NEARLY! Loftus-Cheek thinks on his feet by poking a blocked Rudiger shot goalwards, but Patricio has a simple save to make. That all came about through some more good play from Hudson-Odoi out wide, this time down the left. Wolves' breakaway goal came through their first, and so far only, shot of the match, including blocked efforts. Patricio has been a lot busier since Jimenez found the back of the net, though Chelsea's tempo has dropped again over the last couple of minutes. Saiss takes out Hazard and is rightly shown a yellow card, joining team-mate Doherty in the referee's book. Hudson-Odoi is providing some width down the right. The youngster powers down the line and whips the ball towards the back post, but it is a Wolves head that gets to it first. Fellow substitute Loftus-Cheek is also making an impact with his physicality in the box. Wolves are dropping deeper and deeper but the visitors are on course for a smash-and-grab victory. Chelsea are starting to turn possession into chances, though, and it seems inevitable that they will score. With his side knocking on the door for an equaliser, Sarri brings on Hudson-Odoi for Pedro. CHANCE! The inswinging corner is flicked on by Jimenez and somehow goes through without a touch. Higuain was closest to it at the back post but could not turn it over the line. Can Chelsea make this pressure count? ANOTHER PATRICIO SAVE! Well if nothing else that Wolves goal has sparked this game into life. Having come close through Higuain a couple of minutes ago, Pedro's well-struck shot from outside the box needs helping over the bar by Patricio. GOOD SAVE! Almost an instant response from Chelsea as Higuain turns on the edge of the box and gets a shot on target, which Patricio takes no risks with, turning it behind for a corner. This change has come 15 minutes too late. Loftus-Cheek is on for Kovacic, who has offered very little for the hosts. This was great link-up play between Jota and Jimenez. After clearing a cross into the box, the duo echanged passes and Jimenez kept his cool once picked out by his team-mate. GOOOAAALLL!!! CHELSEA 0-1 WOLVES! Talk about smash-and-grab! Wolves take the lead through their first shot of the match, and it is in-form striker Jimenez who scores it. Jota takes the ball away from Rudiger and returns it back to Jimenez, whose close-range shot deflects over Kepa with a telling touch off Azpilicueta. Chelsea are undone by the counter! The second half has continued in the same manner as the first, with Chelsea dominating the game without creating anything. Pedro cuts inside on his left and curls the ball towards the back post, where Doherty - perhaps fortunate to still be on the field - is waiting to meet it. David Luiz's free-kick, rather fittingly for this match, is poor. It deflects behind for a corner, which comes to little. BIG CALL! Hazard finally bursts into life, taking the ball past a couple of men before being sent crashing to the floor by Doherty, who has already been booked. The Wolves defender challenged Hazard just outside the box - and I mean JUST - so it is a free-kick and not a penalty. Chelsea are far too desperate to play through holding midfielder Jorginho. There is no width to their play and their lack of urgency is giving Wolves a chance to form a compact shape. That stat about Wolves failing to register a first-half shot - on target or otherwise - is pretty telling. Wanderers have also failed to touch the ball in the opposition box. More of the same in the second half? Hopefully not! Wolves, who failed to register a single shot in the first half of a Premier League game for the first time, get us back underway in the English capital! Chelsea, who also had a weak penalty shout turned down for handball against Jimenez, may well have to change things around at half-time. Sarri is not one to tinker with his formation, of course, but he does have the likes of Hudson-Odoi, Willian and Giroud on the bench and each can provide something a little different. From Wolves' perspective, Nuno will be after more of the same. Every now and then Jorginho takes matters into his own hands and goes long with a pass into the box. This latest one nearly falls for Higuain, and then Hazard, but Wolves just about deal with the danger. This has been a good defensive effort from Wanderers. The visitors are starting to offer more of an attacking threat all of a sudden. Jimenez tries to burst clear but is prevented from doing so by Emerson, who concedes a free-kick. A rare chance for Wolves to counter ends in a disappointing manner as Jota handles the ball on the edge of the box when trying to control Neves' fine pass. The striker, also offside, fires the ball home on the half-volley but he had already heard the whistle blow. Every time Pedro tries to get on the ball he is crowded out by two or three players in less than a second. It has been a similar story for Hazard on the opposite flank - Sarri must surely be tempted to try a different approach in the second half. Nuno, meanwhile, will be delighted that his gameplan is working. Hazard's free-kick is rather poor, being headed clear by Jimenez in the centre of the box. A quick one-two undoes Wolves' backline and Doherty feels that he is left with no choice but to trip Hazard, preventing his opponent from getting to the return pass down the left. Kovacic is finding himself in space on the edge of the box quite often, but he never seems to make the right choice when it comes to the final ball. This latest pass down the left, intended for Hazard, rolls straight out of play. Saiss takes out Kovacic to concede a free-kick. Emerson is drifting into a more central position and Hazard is tight to the left-hand touchline. Chelsea, growing more and more frustrated, appear to be trying a different approach. Wolves' bravery to step up pays off as Higuain, trying to get on the end of Jorginho's lofted pass, is flagged for offside. Higuain gives the ball straight to Jota but David Luiz is there to turn possession over. The Brazil centre-back is camped inside Wolves' half of the field, which says it all. Chelsea are dominating the ball and are slowly starting to trouble their opponents. Another potentially dangerous Chelsea attack ends with only a corner being won. Hazard swings it in towards the near post but Jimenez is there to head it clear, leading to the first groans of the day around Stamford Bridge. Chelsea have completed 70 passes in the final third so far, compared to Wolves' six. It has been a one-sided contest, yet all the hosts have to show for it is a saved Higuain shot. Chelsea are passing the ball around well, but Wolves are leaving no gaps for the likes of Higuain and Hazard to break into. At the end of a flowing move, Kovacic chips the ball into the middle and it is headed clear. Nuno's side are very well drilled. SAVE! Higuain makes a good run off Boly to meet Kante's through-ball. The angle is against him, however, and he is unable to beat Patricio at his near post. The corner comes to little as Wolves stand firm at the back. Seventeen minutes played at Stamford Bridge and we have seen just two shots, both from Chelsea and both blocked outside the box. Wolves have not really got out of their own half of the field yet, making life very difficult for their opponents' attacking players. It is all very patient from Chelsea - perhaps a little too patient. Jorginho lifts a first-time pass over the top towards Pedro, who slips when trying to volley the ball goalwards. It goes straight behind for a goal-kick. Chelsea's play is a little too predictable at the moment, which is worrying with just 13 minutes played. Wolves are looking comfortable in a defensive sense, waiting to pick off their opponents on the counter. Higuain works some space on the edge of the box but his shot hits Saiss and goes wide. Kovacic is not on the same wavelength as Higuain and Hazard as his throughball is gobbled up by Patricio in the Wolves goal. Chelsea have had 79 per cent of the ball but they have yet to create anything of note. Hazard and Higuain link up on the edge of the box but the latter's headed pass into the box is cut out before his team-mate can get on the end of it. Wolves have a chance to counter but Costa fails to pick out Jimenez with what should have been a simple short pass. Chelsea are playing with a high line, setting themselves up to pen their opponents in. The ball falls nicely for Kovacic to set himself for the shot, but Neves quickly charges down the 25-yarder. The home side have started the match on top. David Luiz tries to dictate play from deep with a trademark sweeping pass. It has too much power on it, though, and Hazard can only watch it go out of play for a goal-kick. It took Wolves all of 25 seconds before trying to hit their opponents on the counter. The onus will be on Chelsea to find a breakthrough, with the visitors happy to sit back. Chelsea, aiming to climb back into the top four ahead of Arsenal's home meeting with Manchester United later today, get us underway! The two teams are now out on the field at Stamford Bridge and we are moments away from kick-off. Wolves have had eight days' rest between games, but that has not stopped Nuno from making changes - four of them, in fact. Ruddy was selected in goal for the straightforward win against Cardiff, with Nuno wanting to give him some playing time ahead of next weekend's FA Cup quarter-final clash with Manchester United, though as expected he is replaced by Patricio today. Gibbs-White, Vinagre and Traore also drop out and are replaced by Doherty, Neves and Moutinho. Jimenez, who has been directly involved in seven goals in his last seven Premier League games, starts up top alongside Jota. Wolves subs: Ruben Vinagre, Ivan Cavaleiro, Max Kilman, Helder Costa, Adama Traore, Morgan Gibbs-White, John Ruddy. WOLVES XI (3-5-2): Rui Patricio; Romain Saiss, Conor Coady (c), Willy Boly; Matt Doherty, Leander Dendoncker, Ruben Neves, Joao Moutinho, Jonny Castro Otto; Raul Jimenez, Diogo Jota. Chelsea subs: Olivier Giroud, Willian, Callum Hudson-Odoi, Ruben Loftus-Cheek, Andreas Christensen, Ross Barkley, Willy Caballero. CHELSEA XI (4-3-3): Kepa Arrizabalaga; Cesar Azpilicueta (c), Antonio Rudiger, David Luiz, Emerson Palmieri; N'Golo Kante, Jorginho, Mateo Kovacic; Pedro, Gonzalo Higuain, Eden Hazard. Only one spot separates Chelsea, whose top-four fate remains in their own hands, and seventh-place Wolves. 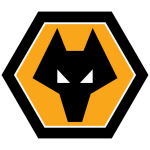 Nuno Espirito Santo has worked wonders during his time at Molineux, earning rave reviews for his side's style of play and their ability to upset the big boys - as was the case in the reverse fixture three months ago when Wolves prevailed 2-1 on home soil. Having returned to winning ways last weekend with a comprehensive 2-0 victory over Cardiff City, Wanderers will now be aiming to strengthen their grip on seventh. 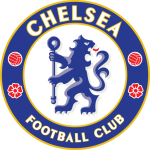 Chelsea appear to have turned a corner thanks to three successive wins in all competitions, which has helped to ease the pressure on manager Maurizio Sarri. After seeing off London rivals Tottenham and Fulham in the Premier League, prior to their midweek win over Dynamo Kiev in the Europa League, the hosts are now aiming to make it three top-flight victories in a row for the first time since September. 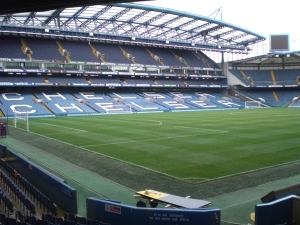 Hello and welcome to our live coverage of the Premier League meeting between Chelsea and Wolves at Stamford Bridge.